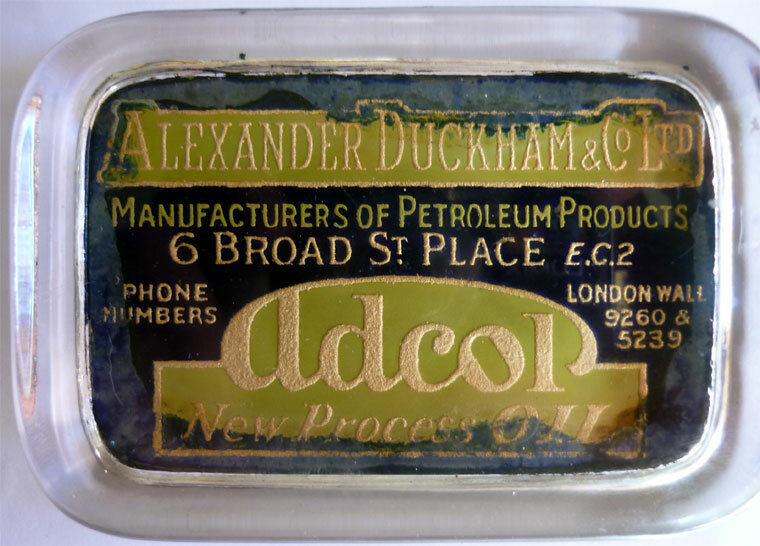 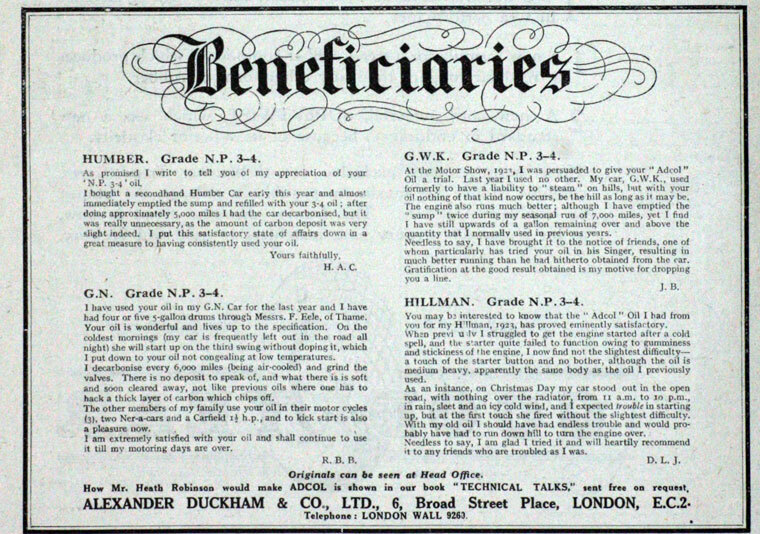 1899 Company established by Alexander Duckham after leaving Fleming's Oil Co.
1904 Incorporated as a limited company. 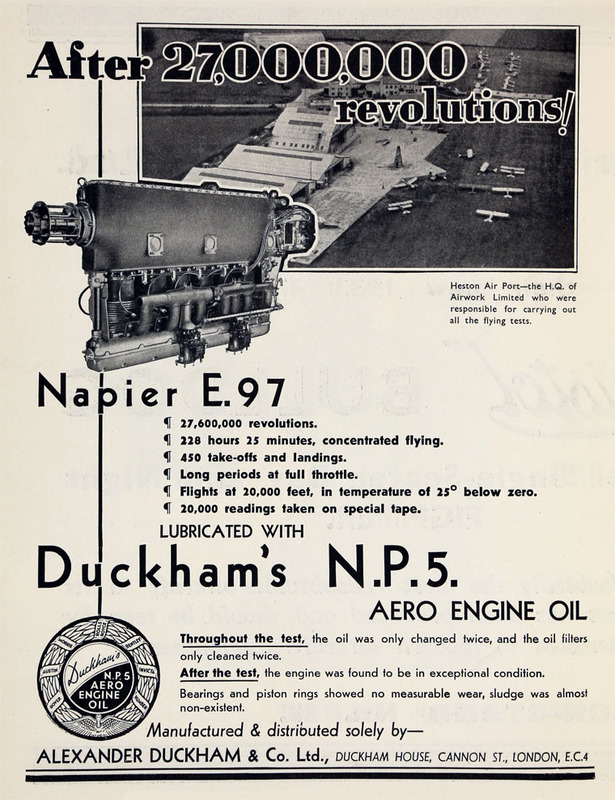 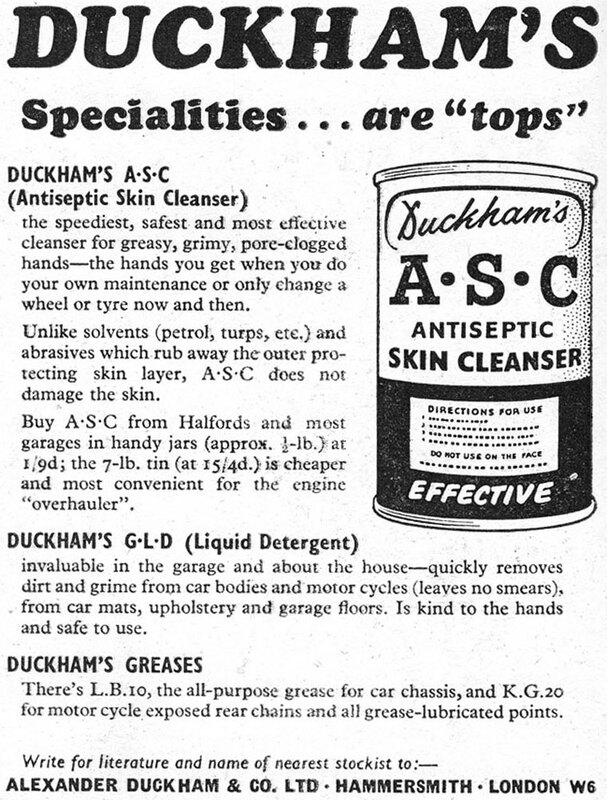 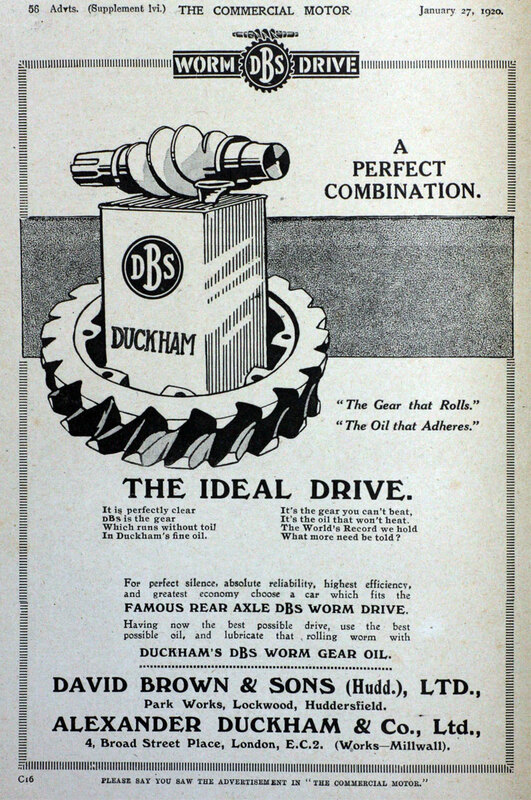 1933 Advert: Duckhams N.P.5 (Aero) oil was the only lubricating oil recommended by M. G. Car Co. 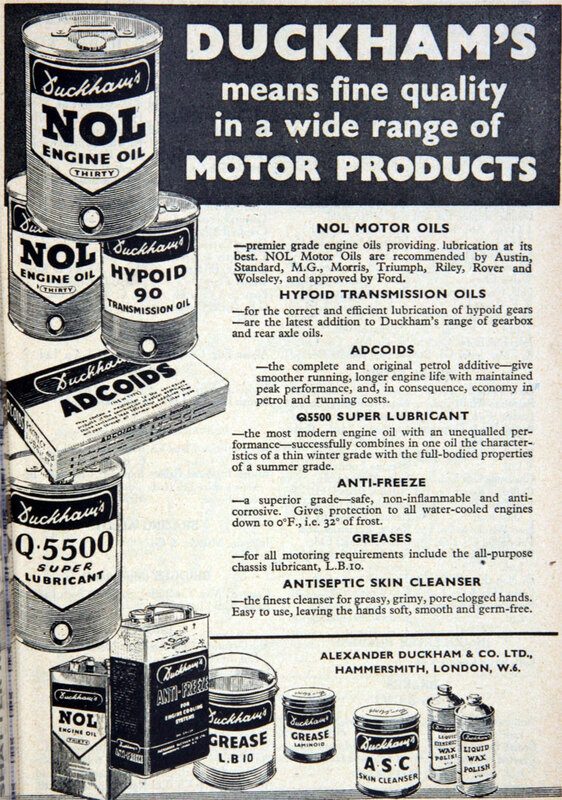 Early 1950s Introduction of the first multi-grade lubricating oil Q20-50. 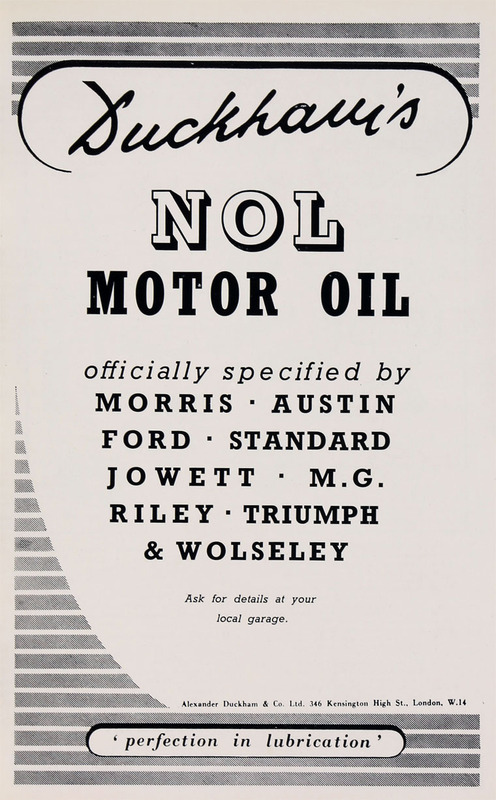 First to introduce a multi-grade engine oil, Q20-50. 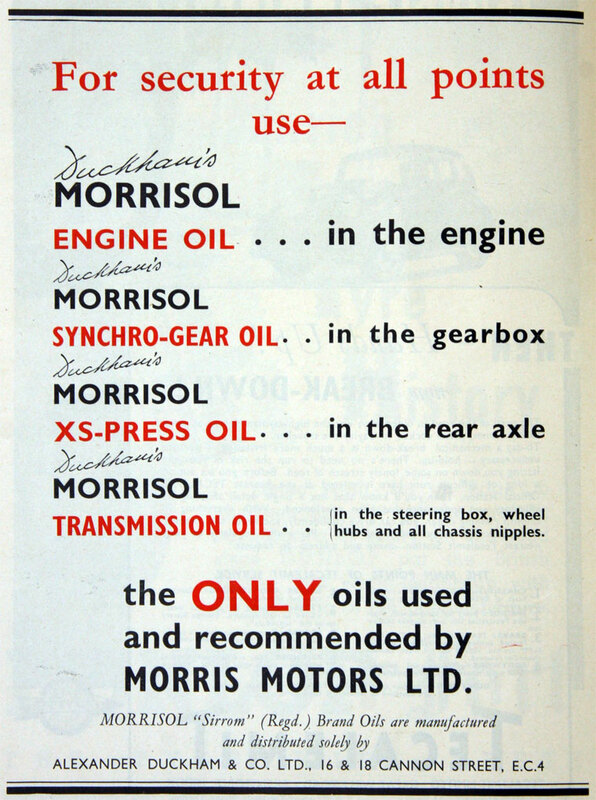 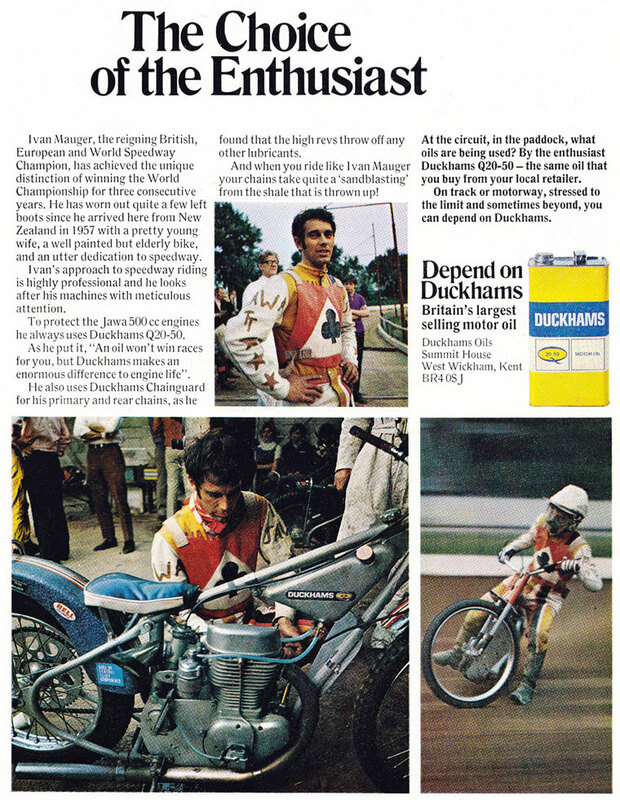 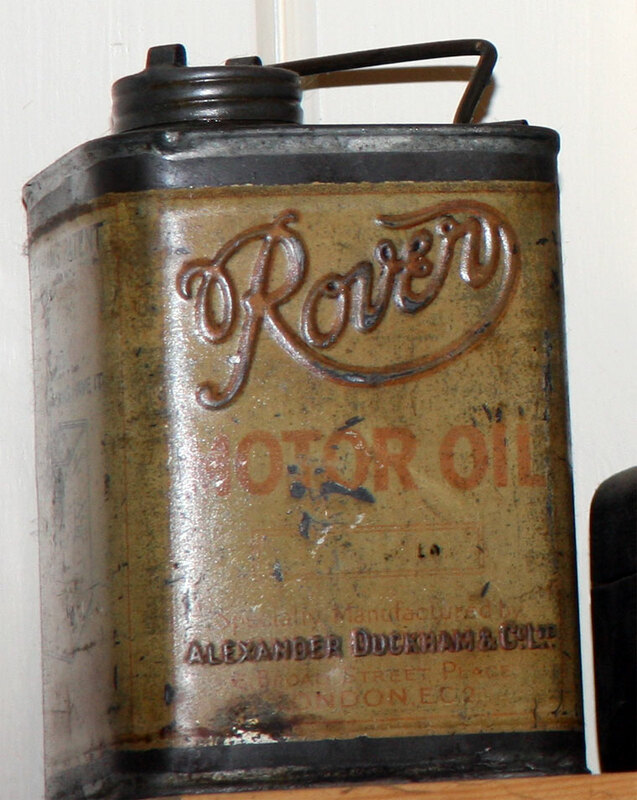 1967 Was the largest independent lubricating oil company in the U.K and 3rd largest supplier of engine oil to motorists. 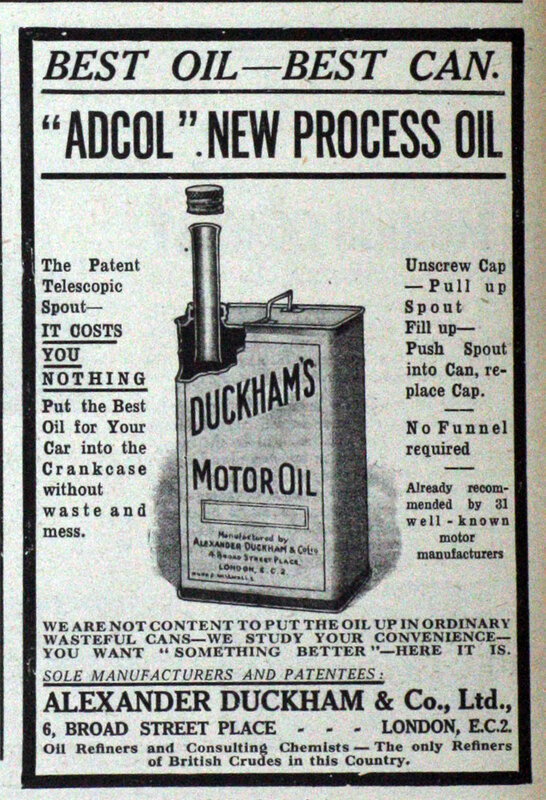 To cope with substantial increase in demand for motor oil, were planning a new factory in the Midlands that would be paid for by issue of debentures and shares. 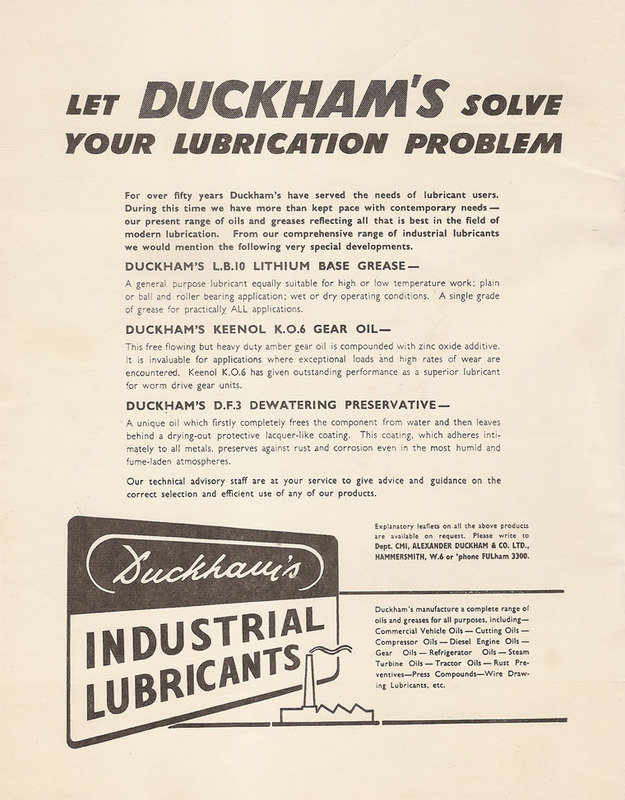 1967 Demand for lub oil had been affected by the increase time between services - up from 2000 miles in 1957 to 5000-6000 miles in 1967. 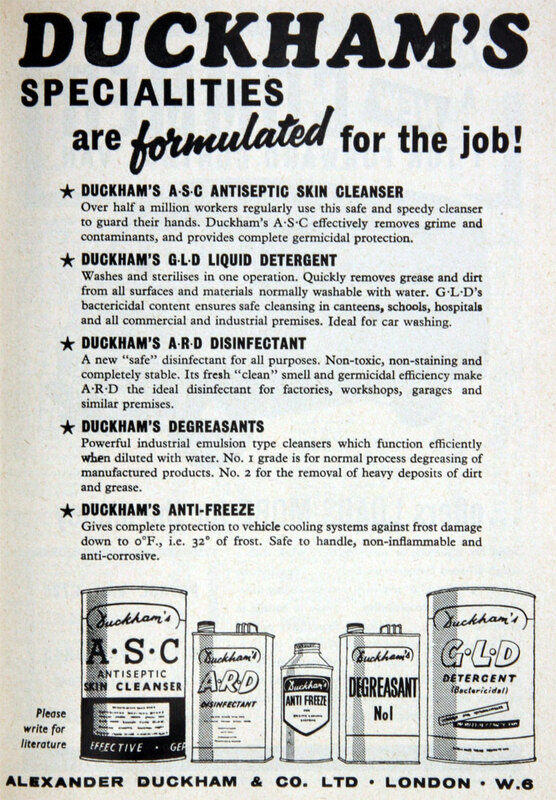 1968 New manufacturing plant opened at Aldridge, Staffs. 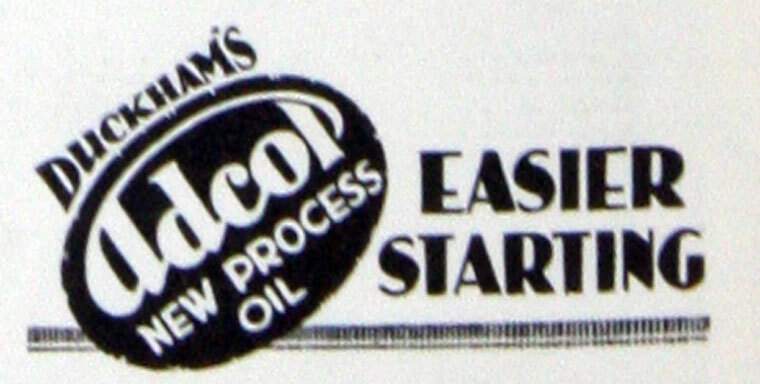 1969 BP acquired the company. 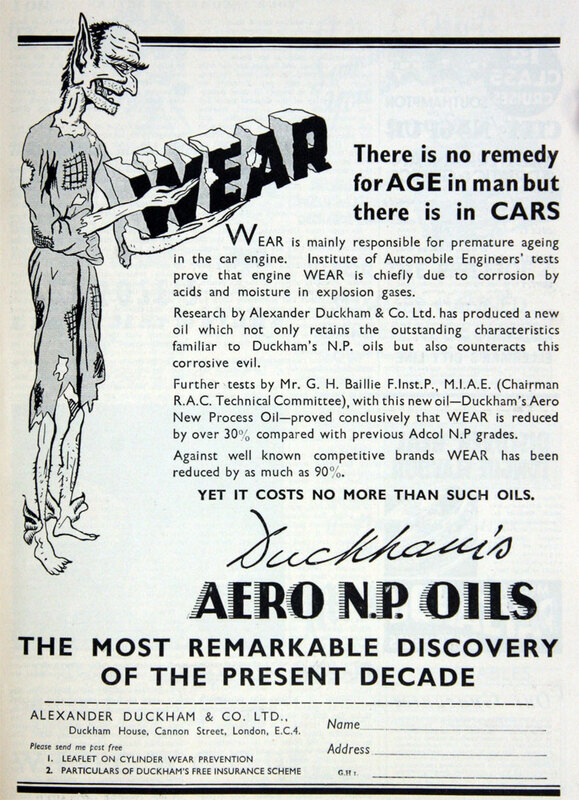 This page was last edited on 31 January 2018, at 10:29.